Paid off February 2, 1984 in Freeport Texas. This was a nice ship. She had been built in Baltimore at the Sparrows Point yard in the late 70's. The captain was a rather short man with the usual characteristic Napoleonic attitude usual with some short men. The ship brightened up considerably after this little man finally left the vessel for whatever reason. I recall he was relieved by a much more mature man. We made several trips to Panama Chiriqui Grande oil terminal to the Gulf Ports of Freeport and Lake Charles La. 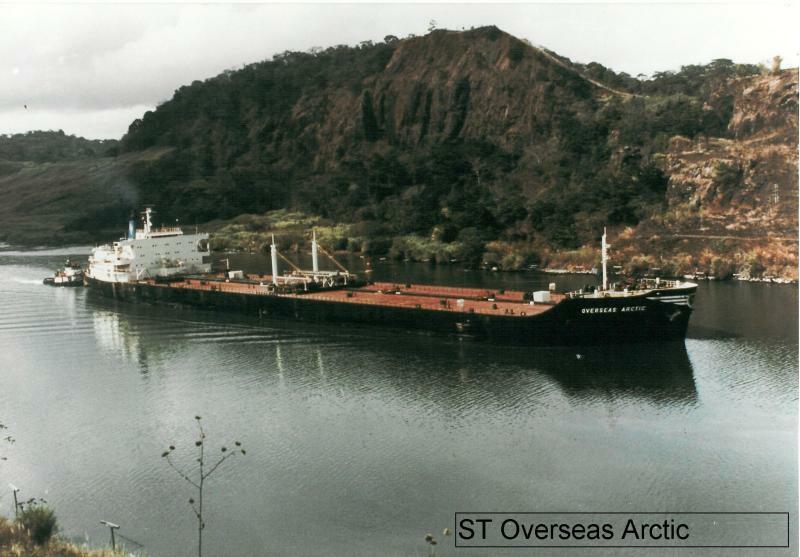 S/T Overseas Arctic Panama canal passage.